Thai Charoen was another one of those coincidences. I walked around in Chinatown, along Charoen Krung Road, and spotted some colorful squids on display. Of course I got curious, as I love squid, but the strange thing is that I have walked the road plenty of times. 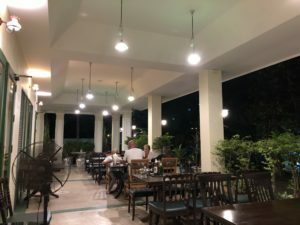 I have no idea why I haven’t noticed Thai Charoen before, as the inviting food are clearly on display at the front of the shop house, but what I know, is that I have never regretted sitting down for a meal here. It’s home cooked food the way we all like it. A table at the entrance to the shop house is where to look. All the dishes too choose from are on display. 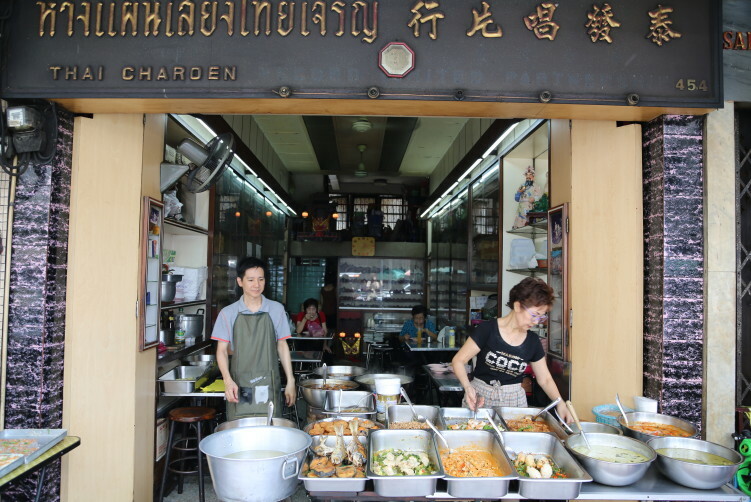 Thai Charoen is small family run business, with a charming and skillful mum and here sun in the center of the action. But before they did food, they actually run a record store, their husband and father, Chinese records, folk music. The walls are filled with them, like a huge archive, creating a nice atmosphere. I would presume they still are for sale. The food is made with love, home made to the smallest detail. It’s also cheap and tasteful. It’s Chinese, it’s Thai, and it’s a bit of a hybrid, Chinese-Thai or Sino-Thai as it’s called here. Not strange as the family have Chinese origin, but with Bangkok as the home address for the last few decades. 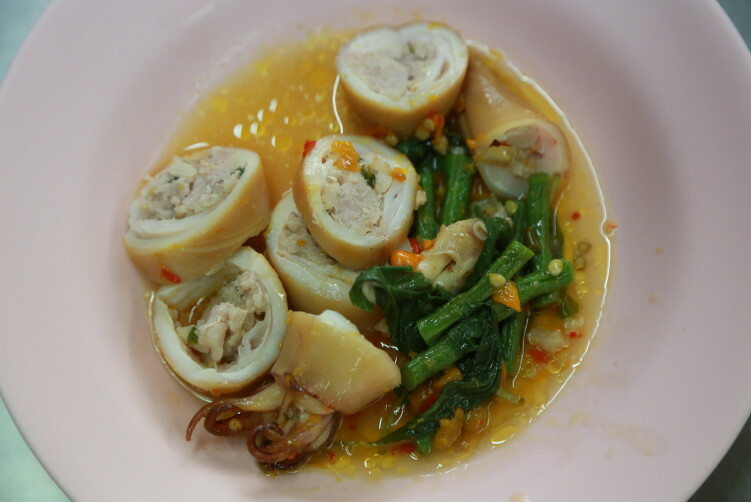 The food includes a mix of Thai curries and more spicy stir-fried dishes, Chinese dishes like a vegetable stew (jàp chi), to the more hybrid versions like stuffed squid and stir-fried eggplants. It’s plenty of good looking dishes to choose from, and all the dishes I tasted was good to very good. I also got to taste their fish dumplings which was lovely, and with the bouncy texture indicating thay they use little flour in the mix. In other words, quality comes first. Chinatown isn’t big and it has a lot to offer, but I haven’t been to Thai Charoen the last time. They serve good home made food in a pleasant atmosphere. 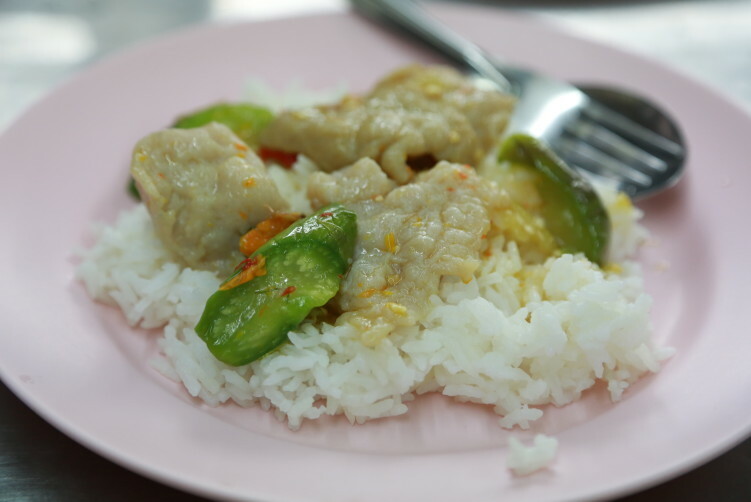 click here Food: A variety of Chinese and Thai dishes, and some hybrids. https://mediaspectrum.net/healthcare/ generic viagra without a doctor prescription Price: Cheap and good. Home made food. 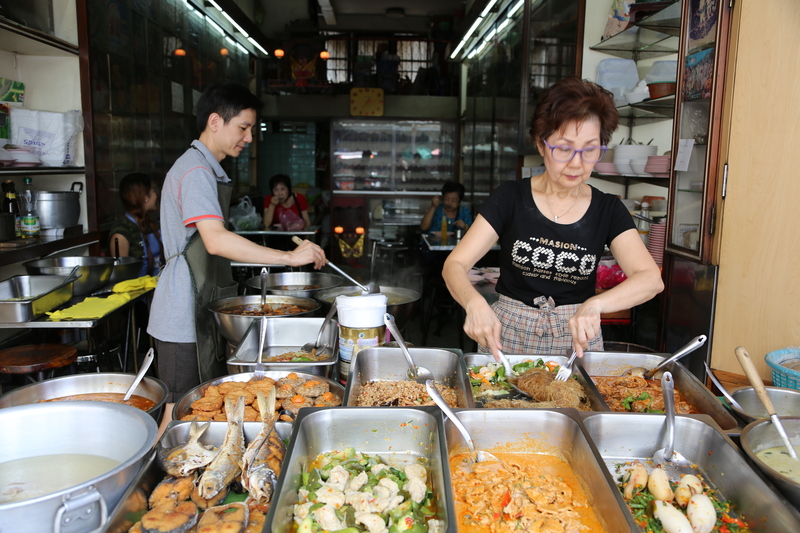 How to get there: Take the MRT to Hua Lamphong to get close to Chinatown. Walking up Thanon Charoen Krung away from Hua Lamphong, you find it like 20 meters before Thanon Mangkon to your left. The food includes a mix of Thai curries and more spicy stir-fried dishes, Chinese dishes like a vegetable stew (jàp chi), to the more hybrid versions like stuffed squid and stir-fried eggplants. It's plenty of good looking dishes to choose from, and all the dishes I tasted was good to very good. See full review at StreetsideBangkok.